When Hermès comes to Los Angeles, you know the iconic brand will draw a stylish crowd. 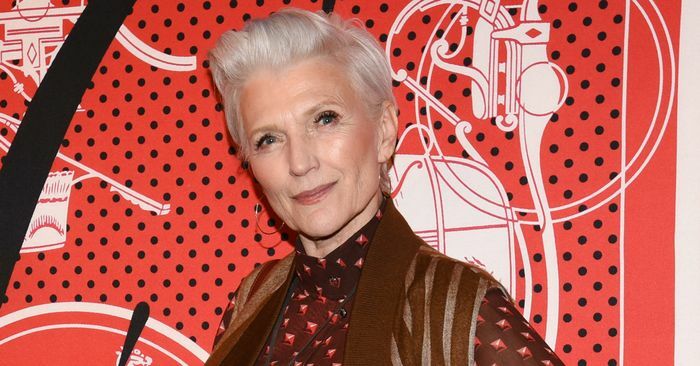 But among the celebrities and editors at the opening of the Hermès Carré Club, there was one standout attendee: Maye Musk. The model looked impossibly chic wearing Hermès head-to-toe, of course. She mixed stripes and polka dots likes a pro and completed the look with an It bag and wedged ankle boots. Could she look any more stylish? “Hermès Carré Club showcases the creative energy and artistic expression at the core of the Hermès silk universe, highlighting the House’s contemporary vision,” the press release reads. The interactive space is complete with artist stations, a karaoke booth, a café, and more. The traveling exhibit has already stopped in New York City, Toronto, and Singapore, and will head over to Milan after Los Angeles. If you’re in L.A., be sure to stop by the free admission club, which is open until Sunday, November 11 from 12 p.m. to 8 p.m. Scroll down to see Maye Musk’s perfect party outfit. March 13, 2019 Comments Off on Organic Snacks Aren’t Necessarily Healthier Than Junk Food. Here’s Why.